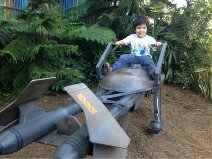 With Star Wars Weekends at Disney’s Hollywood Studios fast approaching and with Star Wars Episode VII slated to debut in theaters this December, it’s clearly a great time to be a Star Wars fan. And then there’s the expected arrival of an entire Star Wars-themed land at Disney’s Hollywood Studios (and probably Disneyland Park) sometime in the not-too-distant future. Of course, with the powers-that-be at Disney remaining tightlipped, it’s still anyone’s guess as to what we can expect when that galaxy far, far away finally lands at Walt Disney World. 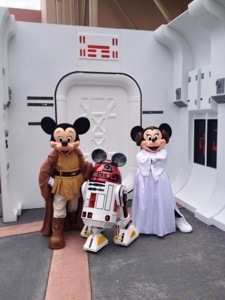 And yet there are some very intriguing hints already to be found in and around Disney’s existing Star Wars attractions…if you only know what to look for. As usual, “the magic is in the details.” So here are four enticing clues about what to expect in the forthcoming Star Wars attractions. Expect both familiar and new characters, vehicles, settings, and scenarios. 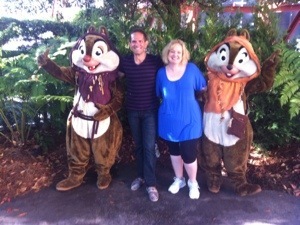 Many Disney attractions adhere closely to the movies upon which they are based, replicating the original screen versions as faithfully as possible. However, this has never been the case when it comes to the Star Wars attractions and experiences, which have introduced numerous new characters, vehicles, settings, and scenarios alongside the familiar ones. 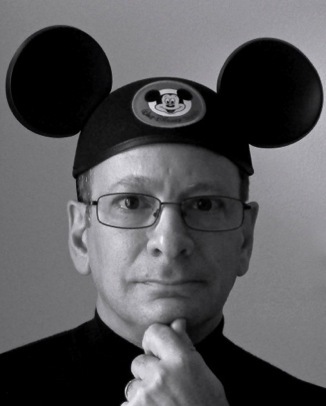 It’s a good bet that this “expanded universe” approach will continue…full Force. Expect big themes. While the forthcoming Star Wars shows, rides, and environments are likely to feature new characters and other unique elements, you’ll also see a continuation of the big themes established in the cinematic Star Wars universe. Some of these themes have already carried through into the existing Star Wars attractions, including “humanity versus soulless technology,” “the struggle between goodness and evil,” and “ordinary people fulfilling their heroic potential.” Expect more of the same in future attractions. Expect sophisticated technology in the service of storytelling. 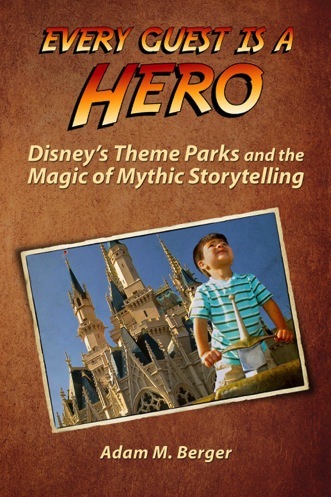 Though the Disney parks have long been known for their sophisticated ride and show systems, those technologies have always been upstaged by the attraction storylines, creating immersive, fully realized, emotional experiences. This is certainly the case with attractions like Star Tours – The Adventures Continue. You can bet that the ride and show technologies behind the experiences being planned for the new Star Wars lands will be even more advanced…and just as invisible. Expect more variability, more spontaneity, more guest interaction, and more personalized experiences. No matter how many times you queue-up for Star Tours – The Adventures Continue, you never know which one of 54 different combinations of scenes you are going to get, giving your experience a wonderful element of variability and spontaneity. You can be sure that this approach to keeping your experience fresh and surprising will go into hyperdrive in the new Star Wars attractions. 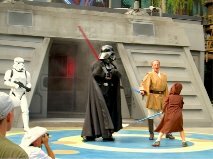 At the same time, you’re certain to see more of the personalization and direct interaction that guest “younglings” are already encountering in the Jedi Training Academy show as they cross light sabers with Darth Vader—but on an even bigger and more impressive scale. 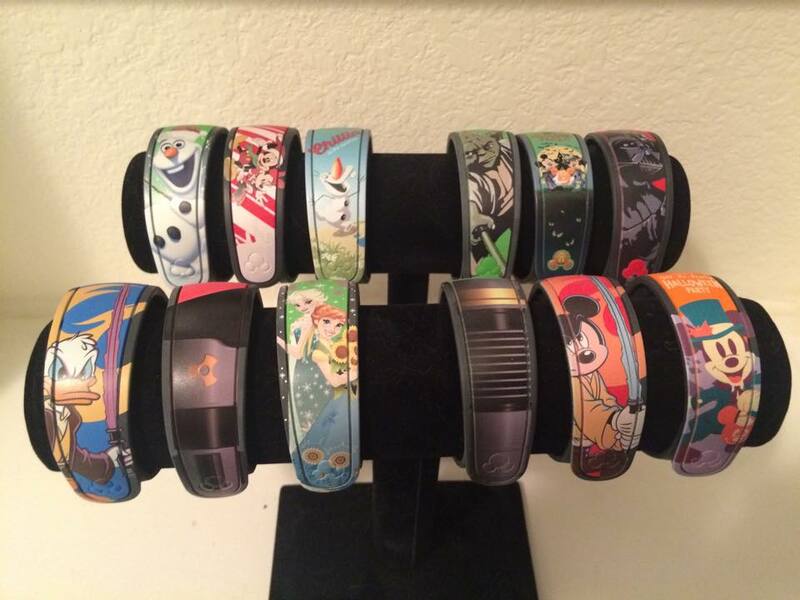 The technological key to all of this will doubtlessly be the same RFID platform that powers your MagicBand. But instead of merely admitting you to the Disney Parks, your Disney hotel room, and your pre-booked FastPass+ attractions, your MagicBand will eventually endow you with Jedi-like powers, immersing you in your own personalized, customized Star Wars universe. 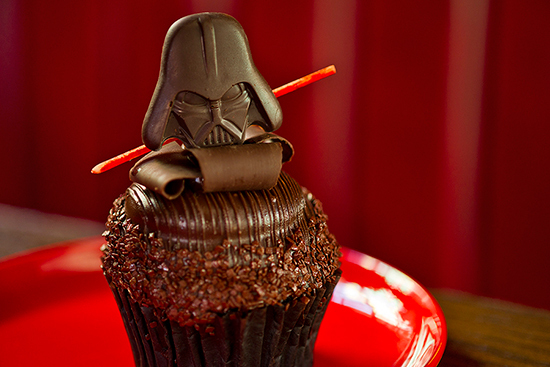 What are your expectations for the new Star Wars-themed sections coming to the Disney parks? Feel free to post your thoughts in the comments section, below. And May the Force be with you! 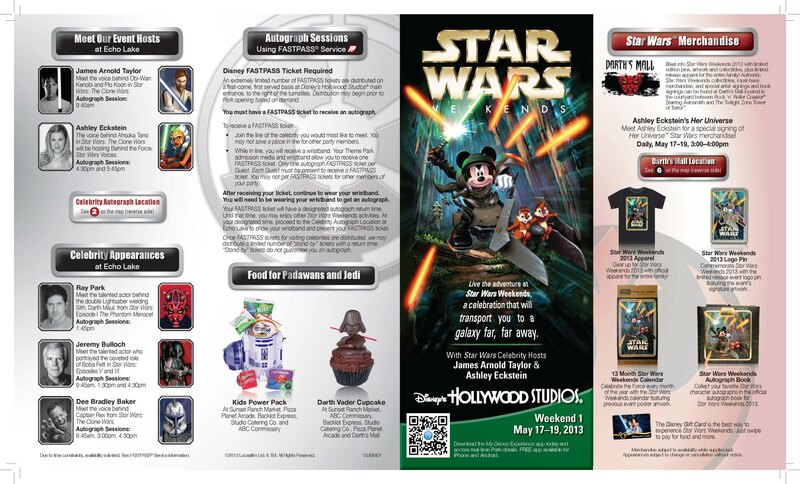 New Star Wars Weekends 2014 Details Revealed! 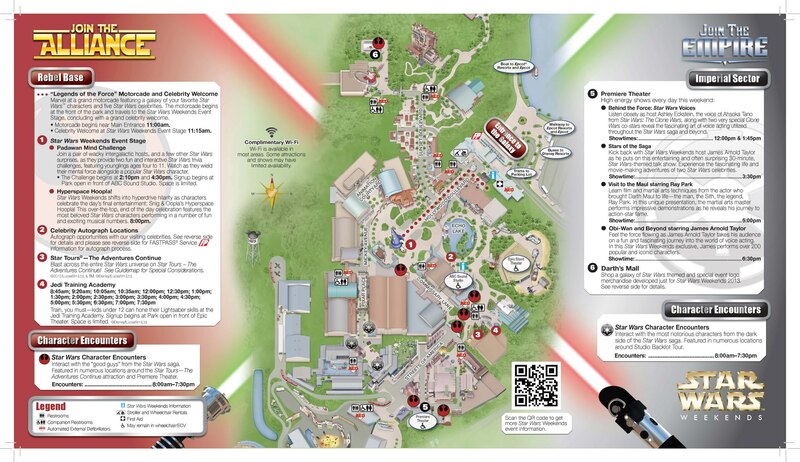 New Star Wars Weekends 2014 Details Revealed! First, a fireworks show will be displayed every night of the event featuring Star Wars music, similar to the “Symphony in the Stars” Disney displayed for Limited Time Magic last year on May the Fourth. Disney has also revealed that a “new evening experience” on Hollywood Blvd will be part of the weekends, but didn’t specify what exactly that will be. “As the Rebel Alliance continues its fight for freedom and democracy in the Star Wars galaxy, the phantom puppetmaster himself, Darth Sidious (aka Emperor Palpatine), has issued a new galactic decree about Star Wars Weekends 2014 at Disney’s Hollywood Studios. While some of his blue-hued holographic transmission was garbled, the Emperor has ordered his Galactic Empire to create a demonstration of force and power that can be seen high above Disney’s Hollywood Studios during Star Wars Weekends 2014. This has caused much talk in the galaxy that a gala fireworks show featuringStar Wars music will be presented each evening this year.